Continuous Conditioning – A selective and continuous conditioning reactivated with every shampoo. 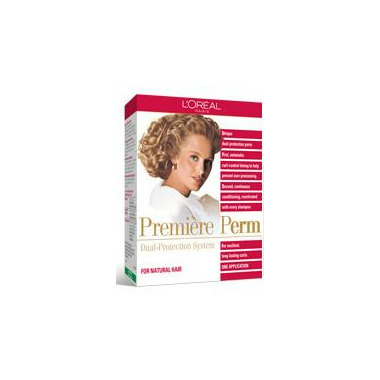 Première Perm exclusive conditioning formula gives you even more resilient curls that are more conditioned and longer-lasting. Your hair gains in vitality and brilliance with superb conditioning throughout your perm. My 88 year old mom just loves this product. She has thin white hair and this product does the trick. She says that it does a better job than getting a perm at the hairdresser and of course it is cheaper! It is a great product. It has a strong smell. Most perms do however i find it stronger. It might be just my sense of smell is strong.